I was chatting with a friend recently who is also a midwife. We were talking about Reiki Babies and I was telling her about my vision, how I would love for Reiki to be introduced into the family, for parents to realise what a fantastic tool it is in helping us to balance, to unwind and remain calm in stressful situations. We talked of how Reiki can help pregnant mums who are suffering with the side effects of growing a baby, how it can relieve anxiety around childbirth and especially help mum to balance her hormones and boost her physical recovery once baby has arrived. My friend talked of how she wished the midwives could do more for new mums and how she felt that any tool, any technique that would help mums to relax and empower themselves to acknowledge they’re doing the best for their baby would be fabulous. She also said she believed that there would be less cases of postnatal depression as mums really got some positive support that would nurture and validate them at such a vulnerable time. I remember those early days and weeks, feeling so rough and yet trying so desperately hard to be perfect for my baby, each time I saw the midwife or health visitor I just felt judged and deemed not good enough, I remember going to groups and meeting other new mums who would paint a wonderful picture of a harmonious time with their baby and I would then feel like an utter failure. Hindsight is a wonderful tool and now as I look back I realise that in truth we were all struggling and perhaps I was just a little more honest about my feelings of failure and how tough it really was. I also realise the midwives and health visitors were trying to share their advice which they didn’t have the time to give gently to me and so in my fragile state I perceived it as criticism. Reiki Babies is a vision of mums feeling empowered, to have a tool, a technique to use when she feels utterly helpless, when she doesn’t know what to do to settle her baby she calls in the Reiki energy, when she feels drained and exhausted she can connect with the Reiki energy and recharge, for every situation Reiki can be the calm, the relaxation, the breath of fresh air to recognise what’s really important and what really needs attention. 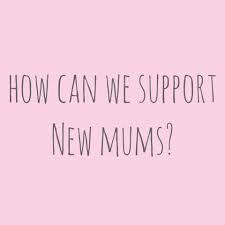 The Reiki Babies groups are about mums supporting mums so that no-one ever feels alone, judged or like a failure as a mum ever again. Groups are small so that there is the personal time, time for you and time for baby, time to rest, energy to recharge and encouragement to empower you to recognise that you are the perfect mum for your baby! Reiki healing prenatally and postpartum.